Today is National Relaxation Day – a unique holiday that pays respect to everything that makes summer so special. From lounging on the beach to grilling burgers in your backyard (or enjoying a complimentary inflight cocktail on Alaska Airlines), there are countless ways to enjoy the day your own way. 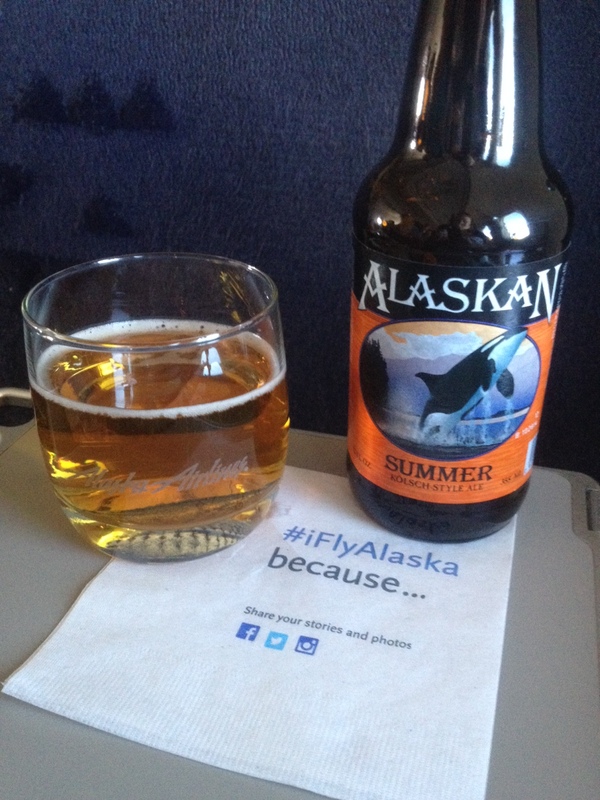 To celebrate, we’re offering all passengers 21 and older a complimentary beer, wine or cocktail on all Alaska Airlines flights Friday, Aug. 15, as well as partnering with Tommy Bahama to give away some amazing prizes. Enter by midnight Aug. 18 for your chance to win a grand prize travel package worth more than $7,000. One lucky winner will receive a Hawaiian vacation for four, including air transportation on Alaska Airlines, a seven-night stay in an ocean-view room at the Fairmont Orchid on the Big Island, a $200 Uber credit and a pile of Tommy Bahama goodies, including a $1,000 gift card. Other prize packages including two tickets anywhere Alaska Airlines flies, a $500 Tommy Bahama gift card, three nights at select Fairmont Hotels & Resorts locations and a $50 Uber credit. Uber is a technology company that connects riders with drivers of vehicles for hire. What are you waiting for? Enter the “Summer of Go” sweepstakes now, and don’t forget to tell your friends — you get an additional entry for each of your friends that sign up. Visit Tommy Bahama in-store for surprises including free ice cream, mocktails and more, and at tommybahama.com to learn more. 3 comments on "Celebrate National Relaxation Day with a complimentary drink on all Alaska Airlines flights today"
I fly Alaska airlines mostly to Mexico. I feel that they should allow one bag for free on international flights. The other airlines do. What a shame that AK Air has joined the race to social media. I don’t do Facebook or Twitter or any other social media. When I want to communicate with someone, or about them, I simply want to do that one on one, directly. It’s more personal, more private and more traditional. I see no reason to sweep everything away that has worked for eons and convert always to the new, new, new. Especially now we can see that the new will soon be the old as technology increases exponentially. I’ve loved Alaska Air–Seattle’s Favorite!–since my first flight with them in 1982! The few times I’ve had to fly another line proved Alaska is the best!